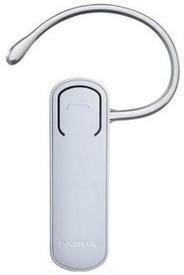 If you wish to know more about cheap Bluetooth headset deals offered by different online shopping websites in India, this article will help you. In this article we will discuss about different online shopping websites which house Bluetooth headsets at a low cost. All devices which are available on Flipkart are brand new and 100% genuine. The following devices are eligible for Flipkart's 30 day replacement guarantee and Cash on delivery, EMI payment options. 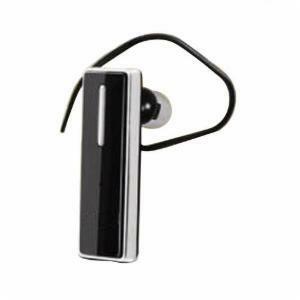 One of the cheapest Bluetooth headsets available on Flipkart.com is at an exciting price of Rs.449. The actual price for this item given by the company is Rs.1000, but a 55% discount offered by Flipkart makes this accessory so accessible. It is an In-the-ear design headphone with a built in mic and wireless connectivity. On ordering this product, in the box you will find a Bluetooth headset, 2 ear buds and a USB charging cable. This device has a Bluetooth range of 10 meters. An answer/end call control switch is also featured on the device. This device uses a 80 MAh Lithium polymer battery which has a 200 hours stand-by time and 4 hours talk time. 2 hours time is needed to charge the battery completely. A Removable Ear hook design gives easy access for the users. This device is available in two different colour variants, black and white. It has a clean and sleek design at an attractive price of Rs.760. Convenient for hands free calling it features one multi functional button, comfortable ear pads and a wide compatibility as it unique key features. The package consists of a Nokia Bluetooth headset BH-108A and a user guide. The microphone has a built in type A 2.0+EDR with a HFP 1.5 Bluetooth version and a range of 10 meters. A 80mAh Lithium ion polymer battery which needs a 2 hour charging time is used for this device. The battery gives a talk time of 5 hours and a stand-by time of 120 hours. It weighs about 9grams with the dimension of 16.2x 8.3x53.5mm for width, height, and depth respectively. The key benefit of this device is it's Bluetooth 2.1 version with EDR technology. The Headset is designed as a behind the ear type. It features Noise reduction and cancellation, single-mic noise reduction, multi point technology, and echo cancellation. The Bluetooth has a range of 10 meters. A charging time of 2 hours will keep this device on for a period of 14 hours when talking and 330 hours when in stand-by. It has USB support connectivity, a power on and off switch, automatic volume control and active pairing, as additional features. The price is around Rs.800 and is value for durability. It weighs about 11 gm and has a dimension of 18x 10x52 mm. All the products I am mentioning now have a warranty from the seller. The warranty varies from product to product. All products available on Naaptol.com are eligible for Naaptol reward points. Cash on delivery and online payment options are available. The main feature of this device is that it is compatible with all other mobile phone devices. It is black in colour with a slim body that gives the headset a simple and sleek look. It works with an interface 1.1 profile with A2DP and runs on a Lithium polymer battery which has a talk time of up to 6 hours and a stand-by time of up to 200 hours. This is a brilliant choice for the budget conscious because this amazing device costs only Rs.480. The active pairing feature simplifies the initial pairing of the Callmate Bluetooth headset with your phone. The device needs to be charged for 4 hours before the first usage. The product has a 6 month seller warranty which is an additional benefit for buyers. 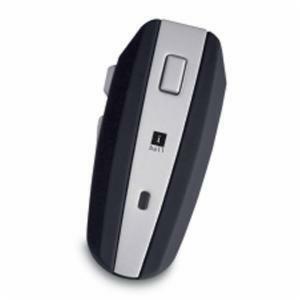 This is one of the budget Bluetooth headsets available at Naaptol.com. The actual price of this device is around Rs.999, but after the special discount of 50% off offered by Naaptol this product is now for more value and available at a price of just Rs.499. 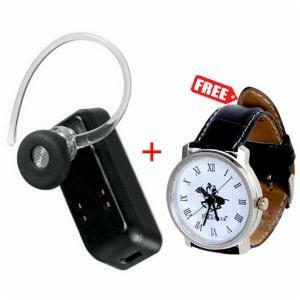 A branded Martin polo club watch is also available for free with this device. For this product the seller gives only a 7 day warranty against manufacturing defects. An extra charge of Rs.99 needs to be funded as a shipping charge. It uses a Bluetooth version 2.0 with a frequency of 2.402-2.480 GHz. The Lithium polymer battery has a talk time of up to 6 hours and a stand-by time up to 150 hours. This device is compatible with all mobile phones. This device comes with an In-ear design for comfortable and sturdy wearing. It has 3 switches which manage calls and control volume. It also features Interchangeable colour face plates, built-in rechargeable battery which you can charge directly from a USB port or AC power source. This headset uses a Bluetooth V2.0+EDR operating system with a frequency of 2.4GHz. The battery gives a talk time of up to 5 hours and a stand-by time up to 200 hours. The dimensions are 22x12x49 for width, depth and height respectively. The price is for around Rs.829. All products at Shopclues.com are brand new, 100% genuine and come with a manufacturer's warranty wherever applicable. All the following products purchased from this site are eligible for Shopclues Hassle free return in 10 days with Cash on delivery payment option. This is one of the cheapest Bluetooth headsets available at Shopclues.com. The list price came around Rs.1000 but a 60% discount offered by Shopclues lets you have this product for less. 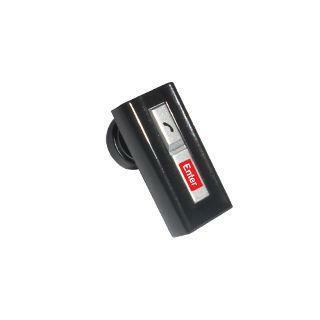 This product is very small and is very helpful for access and carriage. This product works with all Bluetooth enabled mobiles and is also compatible with other devices such as PDA's and laptops. It runs on the Bluetooth version V2.0+EDR. A call control button is available on the device which functions to Answer/End calls. The battery must charge for about one hour for full load and it will give a talk time up to 4 hours. A one year manufacturer warranty is also available on this product. Bluetooth headsets ensure secure wireless communications. This article tells you what are Bluetooth headsets, how they work and what can be their impact on human body. How to shop for a good Bluetooth Headset? Bluetooth Headsets - can we call them absolute requirements or technological marvels? I would say its combination of both. The Bluetooth Headsets have become indispensible in our day today life. This resource throws light on the nuances of buying a good and problem free Bluetooth Headset. Just read on. A review of advanced features of a good Bluetooth Headset. The Bluetooth Headset has become an indispensable device to be paired with your Mobile, Tablet or even your PC or Laptop. Bluetooth Headsets are now available right from basic to a few with more advanced features embedded in them. In this article, you will know about some of the advanced features that a good Bluetooth Headset should have. Please read ahead. Are you planning to buy a Bluetooth device for your smartphone or tablet? 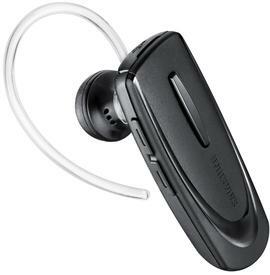 Consider the high quality Bluetooth devices from Samsung. Read this article to learn more about Samsung Bluetooth devices. Electronic industry is considered to be having myriad varieties of goods in the market. Each category of electronic devices has their own numbers of products. Likewise, in this article, I am going to discuss about some of the cheapest models of Bluetooth Headsets that are available in India and international markets. Please read.